Raidlight Responsiv 3L Lady Race Vest + 2 x 350ml Easyflasks in limited edition signature series tested and endorsed by Natalie Mauclair. 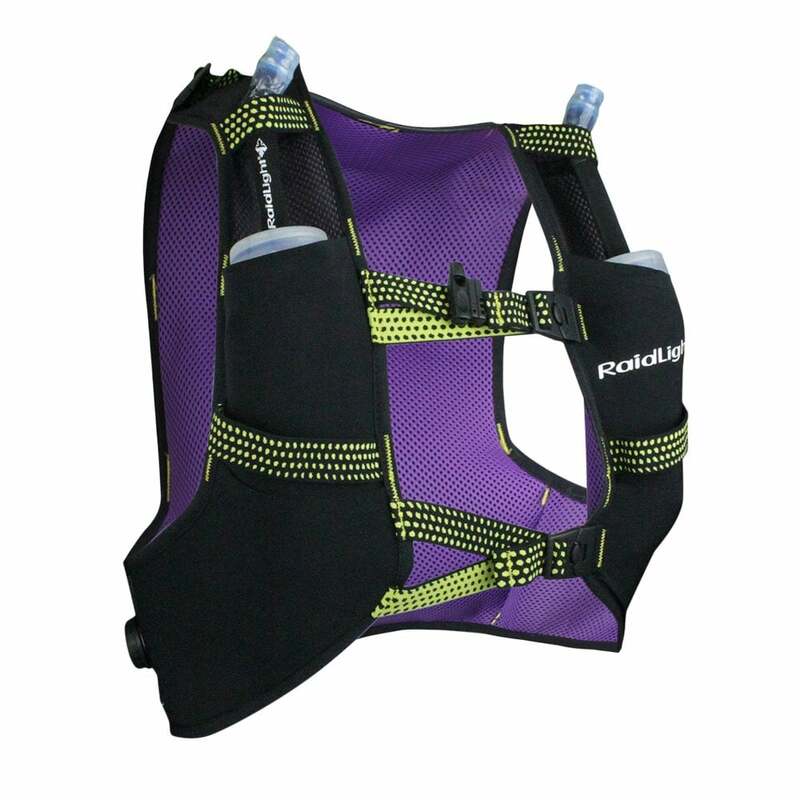 The Responsive 3L Race Vste is made with 3D mesh fabric on the back along with is compression system whicj will allow for additional storage on longer runs. The Responsive 3L has all the qualities and features that the original Responsiv 8L and 15L bags have, only it is more minimalist. Leave the bulk behind on the trail with this 3L pack which includes 2 x 350ml Eazyflasks and weighs in at only 160g. The high stretch and ultra-fast drying properties of the R-Dry fabric, combined with an ergonomic design provide a natural fit and feel. 4 pockets on the straps (2 Secure) which are compatible with our Eazyflask "Press to drink" bottles. 2 side pockets secured with a double flap, ideal for carrying gels and small snacks.